Brussels is one of the most amazing cities to visit before Christmas. The city is illuminated with magnificent lights, and it simply feels like a winter wonder. No wonder why the locals call the Christmas markets in Brussels Winter Wonders! 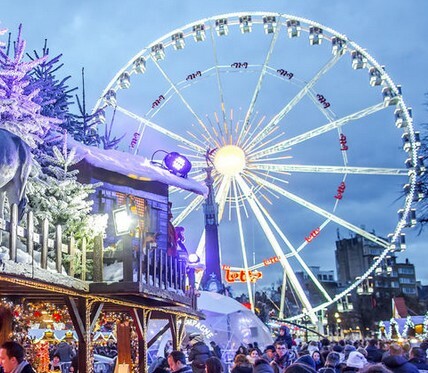 Unfortunately, Brussels has experienced some unfortunate incidents in the past, and for that reason, the Christmas markets in 2016 had to close down for a while. Hopefully, 2017 will be a year of peace and joy, and thus visitors to Brussels can fully enjoy the Christmas markets and the wonders of Christmas, without any fear and trouble. Winter Wonders will be arranged between November 24th and December 31st in 2017, and it is an event that will color the entire city center of Brussels. As we already mentioned the whole inner city will turn into a big Christmas market in Brussels in the period of Winter Wonders. Beneath you can take a look at the detailed map which will show you exactly where the largest and most important markets can be found. 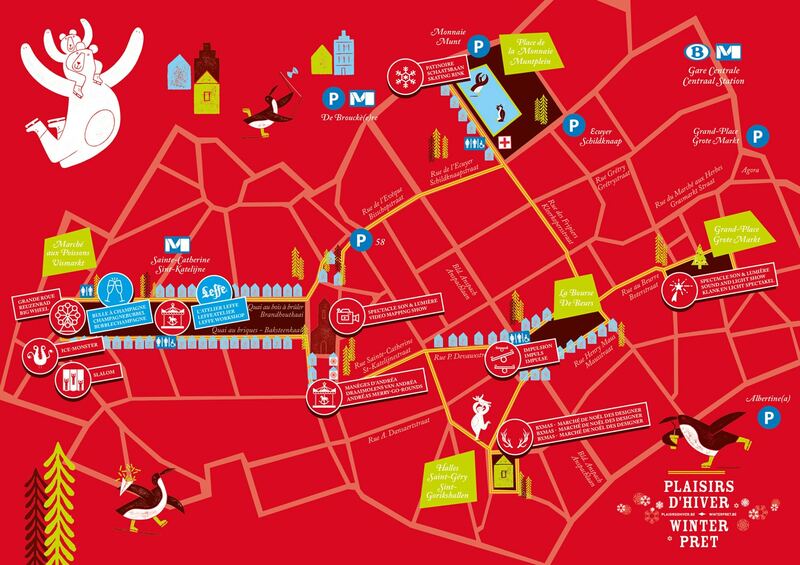 We hope you will have a fantastic Christmas and an enjoyable trip to the Christmas markets in Brussels. Would you like to experience even more Christmas markets in Europe in 2017? Why not visit Prague and go to the amazing Christmas markets at the Wenceslas Square and the Old Town Square? For more information about Brussels and other programs and activities worth checking out in the Belgian capital, look around here in our Brussels Guide.